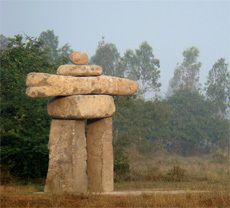 Designed as a first step in a Canadian Pavilion at Auroville, this granite monument was erected a few weeks after the opening of the Pavilion of Tibetan Culture by the Dalai Lama in early 2009. We believe that this tribute to the original inhabitants of Canada is very symbolic, and that means the beginning and the awareness of a greater sense of unity. Official inauguration took place on 28 February 2009. The landscaping was done around the Inuksuk in February 2015. 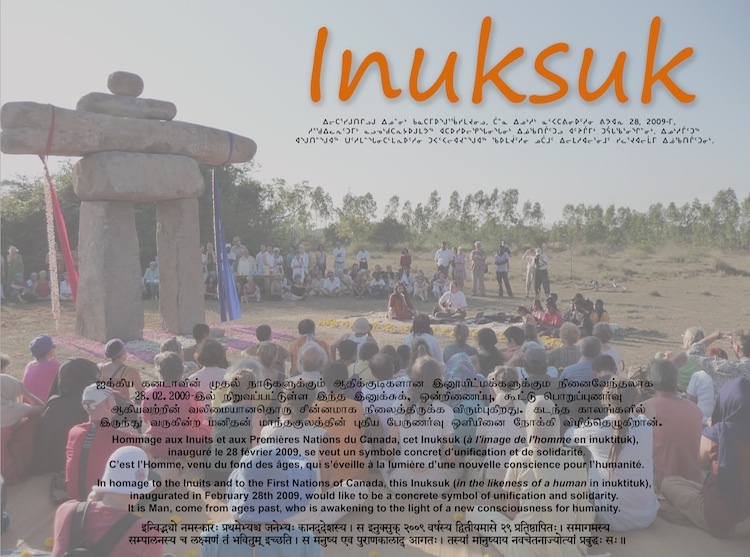 As next step, explanatory granite tops in Auroville four official languages ​​(French, English, Tamil, Sanskrit) and Inuktitut, will be implemented. 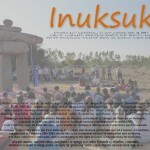 Thank you to contribute generously to the second phase of the Auroville International Canada project. The conditions were not yet ripe for achieving the granite plaques, we have prepared the following plate (aluminum support, 40 cm x 60 cm) that was installed at the rear of Tibetan Pavilion, not far from the Inuksuk, and whose inauguration took place on 15 February 2014.